Post sponsored by Flatout Flatbread. See below for more details. I’ve not been shy about how important I feel vegetarian cooking and spice go together. While I love a simple roasted vegetable tossed with olive oil and salt, there’s also something to be said for a vegetable that is heavily spiced. This tandoori cauliflower is a good example. The tandoori spice mix relies on an equal mix of cumin, coriander, and paprika- all of which make a lovely companion for the cauliflower. Paired with the feta-yogurt and this could easily eat the cauliflower just dipped in the yogurt spread! 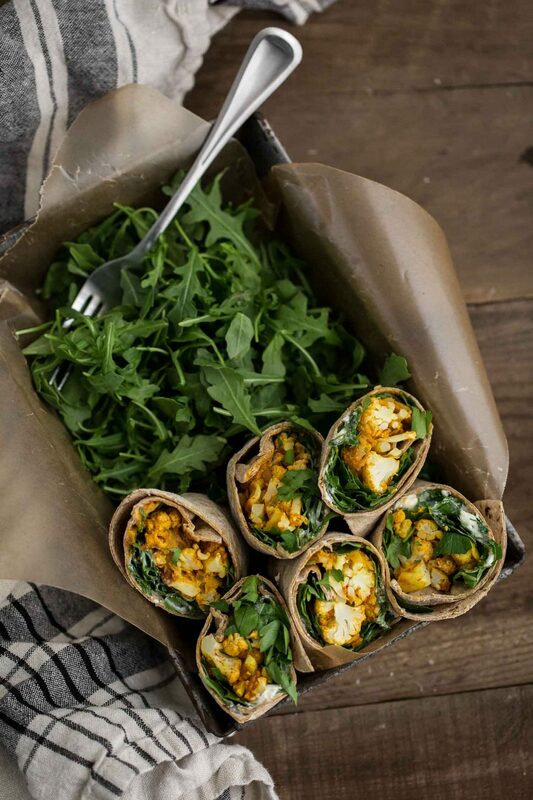 Make a batch of the cauliflower on the weekend to use with eggs in the morning or this wrap for lunch. The post Tandoori Cauliflower Wrap appeared first on Naturally Ella.